Built originally in the 1850’s as a private residence, this elegant Victorian listed building has been carefully transformed into a comfortable 38 bedroom boutique hotel, just 1 minutes’ walk from Paddington station which provides mainline services including Heathrow Express, Heathrow Connect and Great Western as well as Bakerloo, Hammersmith & City and Circle & District Underground lines. 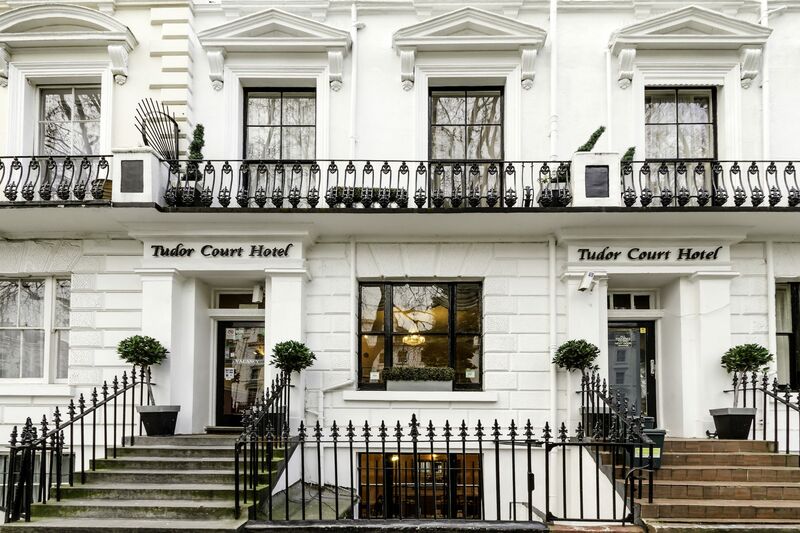 Looking onto the picturesque and landscaped gardens of Norfolk Square and with Hyde Park, Kensington Gardens and The Serpentine within walking distance, Tudor Court provides a most relaxing environment of calmness and tranquillity, allowing guests to enjoy a pleasant and peaceful stay normally associated with hotels in the countryside. A short journey on the Underground delivers you into the heart of the capital where you will discover London’s world famous Restaurants, Theatres, Art galleries, Museums, Historical Buildings, Shops and more. Tudor Court is owner managed and with a team of friendly, dedicated and helpful staff we provide excellent value for money, a welcoming atmosphere and home away from home for all of our guests. For the past 25 years, Mr Gupta, joint owner of Tudor Court Hotel has been cooking for the homeless & poor people of London. Every Thursday between 12pm – 7pm he disappears into the Hotel’s kitchen to prepare vegetarian Curry & Rice and travels to Lincoln’s Inn Fields, Holborn to serve his delicious food to 150 – 200 hungry people. Many of these people depend on the kindness and generosity of Mr Gupta to survive. Guests staying at Tudor Court on a Thursday may be lucky enough to experience the pleasant aroma of his cooking, which will disappear shortly after 7pm. We appreciate that it may not be everyone’s favourite and although we take every step to minimise the smell, we thank our guests for understanding the importance of this weekly charitable work.